When we spoke with Isaiah Wilkins Tuesday morning, he was just a few hours away from boarding a 14-hour flight to New Zealand, where he has signed on to play professional basketball with the Canterbury Rams. That’s no excuse for missing the Sweet 16, though. “I’ll find a way,” he said, laughing. 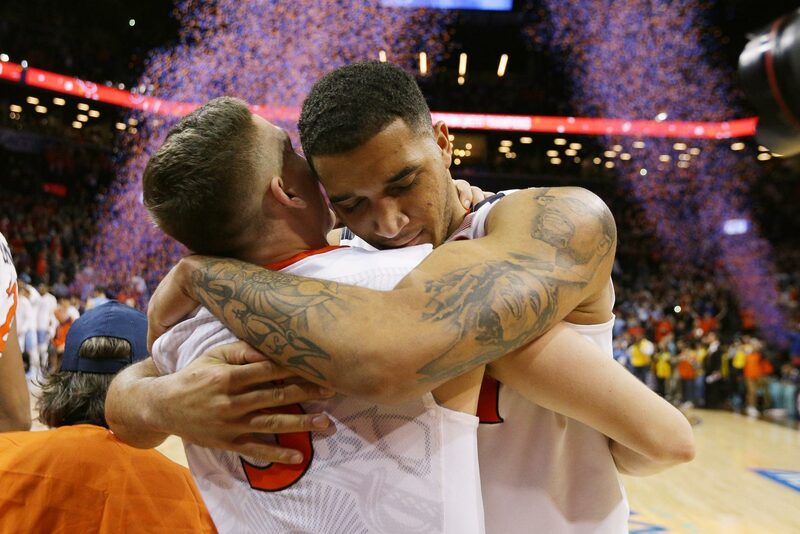 Nothing – not jet lag, not a 17-hour time difference, not even an urgent search for an apartment – can keep this ’Hoo from watching and cheering on his former University of Virginia men’s basketball teammates as they take on the University of Oregon Thursday night in the NCAA Tournament. “I’ve really made keeping in touch a priority,” said the 2018 African-American studies graduate, who had been playing with the Greensboro Swarm, a minor-league affiliate of the NBA’s Charlotte Hornets that concluded its season earlier this month. 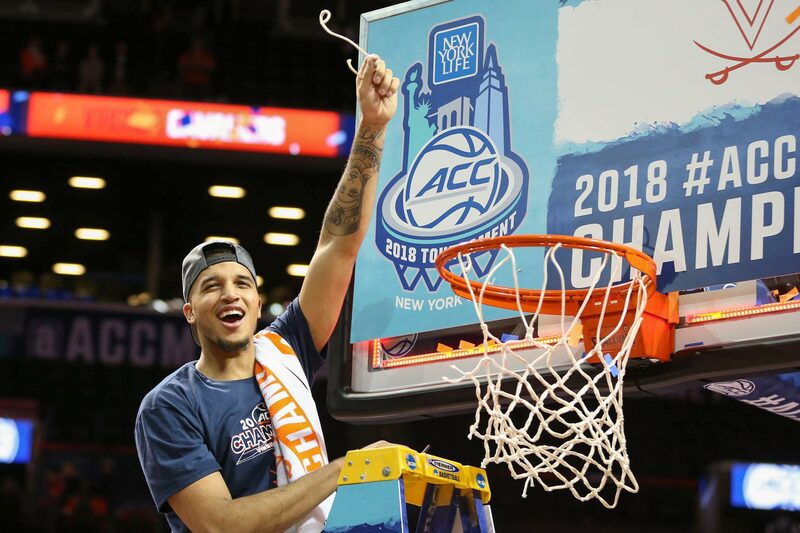 During his four years at UVA, Wilkins was known as a tenacious defender – he was voted ACC Defensive Player of the Year in 2018 – and as what Cavalier head coach Tony Bennett called a “glue guy,” someone who brought the team together and inspired everyone with his attitude and his play. He was also a fan favorite; his brief appearance on the Hoo Vision video screen at this season’s game against Virginia Tech prompted a sustained ovation from the crowd. Toward the end of his last UVA season, Wilkins became known for something else as well. A Feb. 9, 2018 profile on ESPN shared with the world his fight with clinical depression and anxiety, something he had just begun to talk to local media about a few weeks earlier. Depression and anxiety have been a part of Wilkins’ life for years, and like anyone else, he has good days and bad days. He recalled one “bad day” – a bad weekend, really – during his first summer at UVA, when he simply did not feel up to leaving his room. He stayed in the same room for three days with the lights off, getting up only to go to the bathroom. His teammates didn’t let him stay in that room alone. Jack Salt kept coming by, bringing Wilkins food and staying just to sit with him. Marial Shayok and Jarred Reuter (who Wilkins has kept in close touch with even after they transferred to other schools) dropped in to watch movies or hang out. Over his four years at UVA, Wilkins’ support system grew and grew. “Conversations with my teammates became really open after a while, and we grew so close as a unit,” he said. He knew he could turn to his coaches for support, and he began talking to the sports psychologists on staff in UVA’s Department of Athletics. He also started having very honest conversations with his mother, Robin, who has fought a similar battle. Robin Wilkins gave birth to Isaiah when she was 16 and later married NBA star Dominique Wilkins. Though they are now divorced, the couple share two children – Isaiah’s younger brother, Jacob, and sister, Jolie, who was born with spina bifida. Isaiah originally spoke with the media about how much his sister’s resilience inspired him, and how the family had worked to come to terms with her diagnosis. As he began talking more publicly to ESPN and others, Wilkins and his mother started talking about how depression and anxiety affected her life at different points. “I think my mom had been embarrassed, he said. Talking to Isaiah and providing her own comments for the ESPN article helped her see “there was nothing to be embarrassed about,” he said. For all of the support he gets, Wilkins gives just as much, maybe even more. He’s still that encouraging “glue guy,” bringing teammates and friends together, near and far. Wilkins texts Salt before and after games, wishing him and the team luck or congratulating them, and consistently checks in with other current and former teammates. He has nervously watched each game of the tournament, and even video-chatted with former teammate Devon Hall during Sunday’s victory over Oklahoma University, so the two could watch together. Guy posted two open letters on Facebook detailing his struggle with mental health throughout that season, and recently gave an interview to SB Nation, talking about how he has learned to cope with the pressure and anxiety that comes with being a star college athlete. He also participated in a student-led panel at UVA discussing mental health on college campuses. In fact, he said, the entire team has responded well to the pressures of the postseason, especially after last year’s historic loss. “They have been under unbelievable pressure because of the way our season ended last year,” he said. “It’s a lot to handle, even when you try not to pay attention to it. As UVA continues its journey in March Madness, Wilkins is off on an adventure of his own. He will be in New Zealand for four months, playing for the Canterbury Rams during the country’s National Basketball League season, which runs through July. Salt is from Auckland, New Zealand, about an hour’s flight from Wilkins’ new home in Canterbury. Wilkins is looking forward to spending time with Salt’s family, who he has grown close with, and with the big man himself, if Salt comes back home before July. He can also get some tips on the country from Bennett, who played professionally in New Zealand and started his coaching career there. The coach took time out from the tournament to talk with the Rams about Wilkins, and to recommend him heartily. 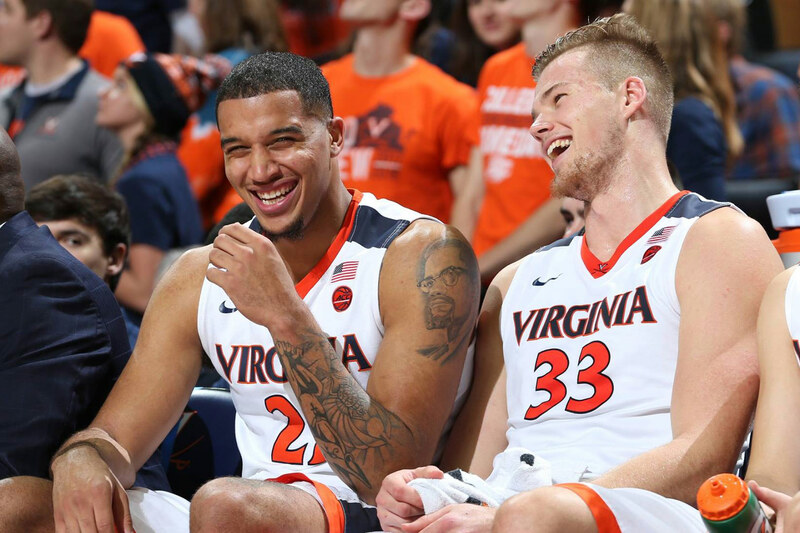 Most importantly, Wilkins knows that the people who were there for him at UVA will be there for him in New Zealand still – the teammates who sat with him in that dark room or cheered him in the locker room, the coaches who were always ready to listen, and the fans cheered his every move. Even half a world away, they’ll be cheering him on.